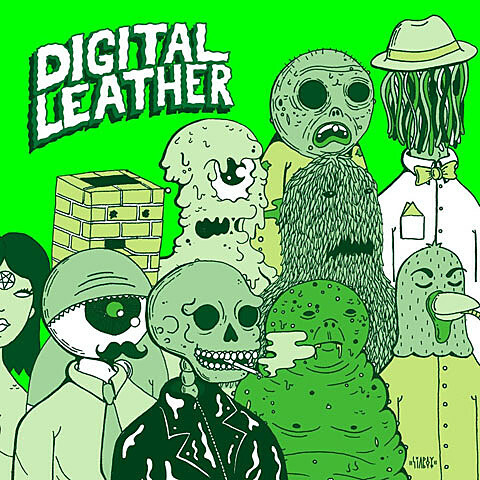 Yuma synth-rock act Digital Leather, who released their latest album, Modern Problems, earlier this week (2/14) via FDH, are wrapping up their short tour in Texas this weekend. Stream the whole release via Amp. The band is set to play El Paso’s M’s Lips with Boring Boyfriends tonight (2/17) and conclude the tour tomorrow night at Austin’s Beerland (2/18) with Dead Space and Brain Attack. To give you a taste of their performances, check out a live video for their Modern Problems cut, “Thrill is Gone,” posted below. The band also released the single– and steady new album opener– “Young Doctors in Love” this month (MP3 above). The album is band songwriter Shawn Foree’s first release since the death of Jay Reatard, a musical influence and close friend of his throughout his college days and career. Claimed as being recorded “100% on tape, alone, in [his] home,” Foree said he wrote Modern Problems as a “narrative process of grieving,” reflecting such an experience’s emotions and urgency. “Thrill is Gone” by Digital Leather | HN Live from Hear Nebraska on Vimeo.